Show your appreciation to your coaches, team moms and sports mentors for all of the time and hard work they put in on behalf of the team. 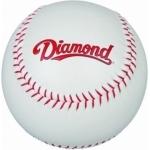 Our collection offers specific coaching and team mom trophies and commemorative balls. We also offer sports ball display trophies which, when autographed by all team members, makes a wonderful coaching gift and keepsake.